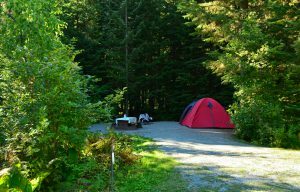 Please reference this list to find out when your favourite BC Parks frontcountry campground is available to book reservations, on a new 4-month rolling reservation window! Reservable campsites are offered to book at 7:00am Pacific time on their release date, and can be booked up to 4 months in advance of your stay. Beginning in 2017, the mid-March “opening day” for reservations will be eliminated and the three-month rolling reservation window will be extended. Reservations for the 2017 season can be made four months in advance of an individual campground’s first reservable date. You can start booking some campgrounds as early as January 2, 2017. This will allow you to start planning your vacations an additional month in advance than the previous three month planning horizon. BC Parks strives to continuously improve service and maintain fair and equitable access to all of our parks. Every year the inventory on Discover Camping grows with the demand for reservable campsites. Discover Camping customers can now choose from over 100 parks, in over 120 frontcountry campgrounds, with approximately 6,000 frontcountry campsites. Approximately 55% are reservable while 45% remain on a first-come, first-serve (FCFS) basis. New Discover Camping Inventory for 2016! Where can I get a BC Camping Guidebook? Do any BC Provincial Parks have hiker-biker campsites? When travelling self-propelled, as on a bike tour, it is very difficult to predict where you will be four months in advance, even if you have already planned your trip. And it is difficult and potentially dangerous or impossible to continue to the next campground on your bike or on foot. So it would be nice to have some assurance that you will not be turned away from a “full” campground. It would also be nice if cyclists and hikers were charged a lower per-person rate, as in say Oregon State Parks. Of course, if they use a regular site in an Oregon State Park campground, they are charged a regular fee, but the hiker-biker areas are more like group campsites. I have not noticed any hiker-biker sites in any BC Parks campground so I would really like to know if it’s just me or if BC Parks really does not encourage self-propelled travel. Can I go camping without a reservation before these reservable dates? I have this first week of April off and was hoping to just roll into Rolley Lake or Cultus Lake if the weather is good after the Easter Vacation. Any chance of that? Hi so if I want to book for August 22 to August 25 I have to weight to April 25?? So if someone wants just Aug 22 to 24 they get first dibs?? Or can I book April 22 for all dates?? How can I book a campsite for 5 adults – me and my Family? We’ll travel with one Motorhome.